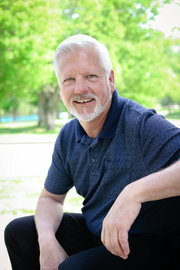 Greg has lived in the area for 24 years after relocating to Johnson City from Los Angeles, California. There he was a Gardening Supervisor for the Los Angeles Unified School District for 10 ½ years. Though being raised in the city, he has deep roots in East Tennessee. His entire family is from here and prior to moving has spent a lot of time here visiting family. Greg prides himself on honesty, integrity and hard work. He feels a man is nothing without his good name. He says what he does and does what he says. His faith in God is a huge part of that as well as he feels a need to honor Him in all that he does. With 36 years of management experience he has helped two local landscape businesses build their brand and market share as well as ran two of his own successful landscape businesses. He has great experience with new construction as that was a big part of his landscape business. He worked with some of the biggest and most successful builders in the area. He feels that your home buying experience is in no way about him but is all about your needs, wants and desires. Greg doesn’t want to just sell you a house but loves helping you find the home that you truly desire and love! Among hiking, fishing, golf, singing at church he has a passion to mentor kids at Grace Fellowship Church as a small group leader of 5th and 6th grade boys. When considering selling your home or purchasing a home, Greg will work hard to make the process painless and as stress free as possible in finding you your forever home!